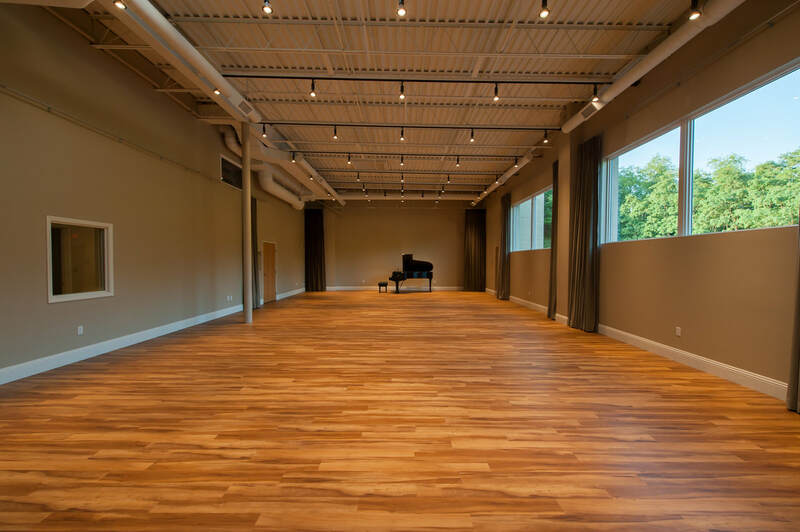 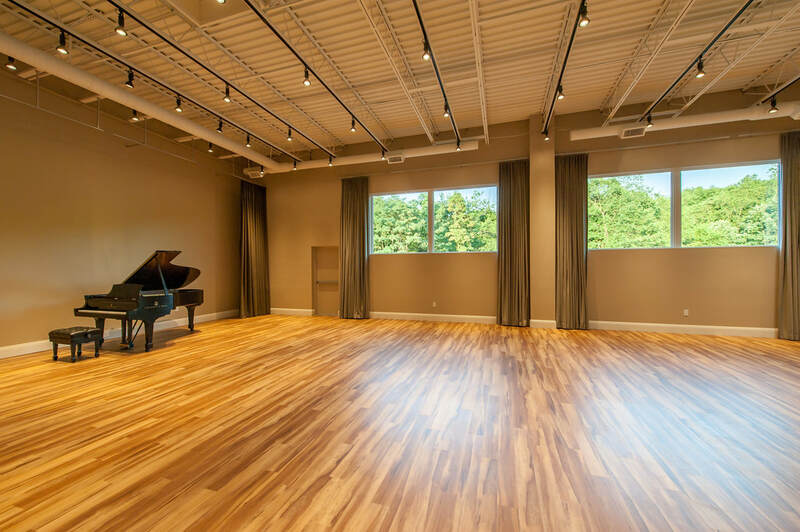 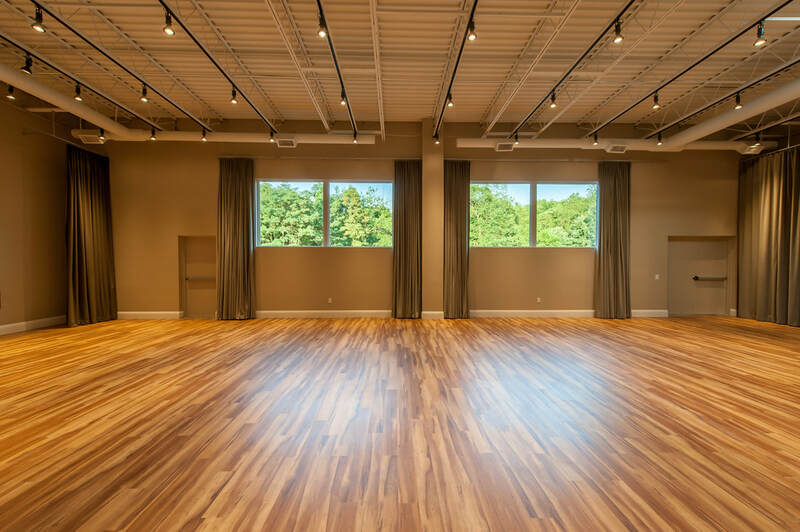 Located in the PYCO School of Music in Wexford, the Recital Hall is a beautiful open space overlooking North Park where events such as concerts, recitals, movement classes, dance classes, presentations, productions and receptions can take place. 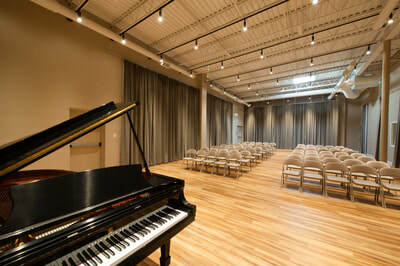 The Recital Hall is 60 feet long by 30 feet wide and has 17-foot high ceiling with stunning acoustics. 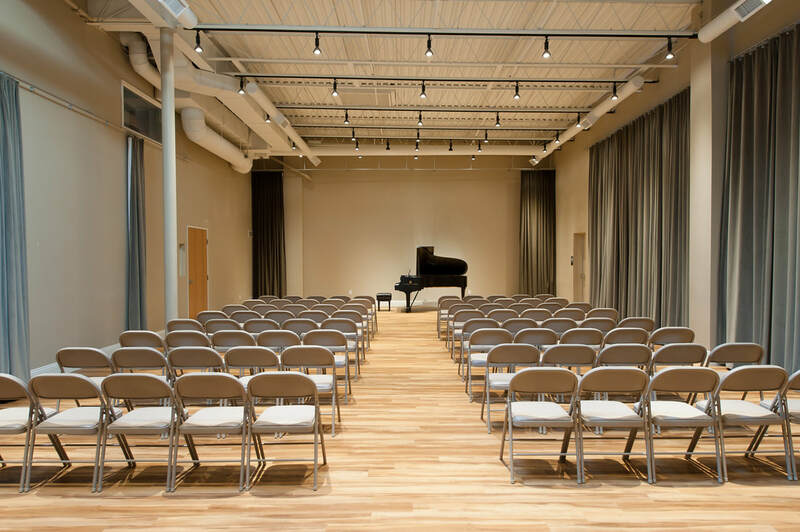 It can accommodate up to 180 people, and features a movable curtain system that can change the acoustics of the space from a dry rehearsal room to a live concert hall. The hall features a Boston 7 ft piano, and includes access to a full kitchen for receptions. 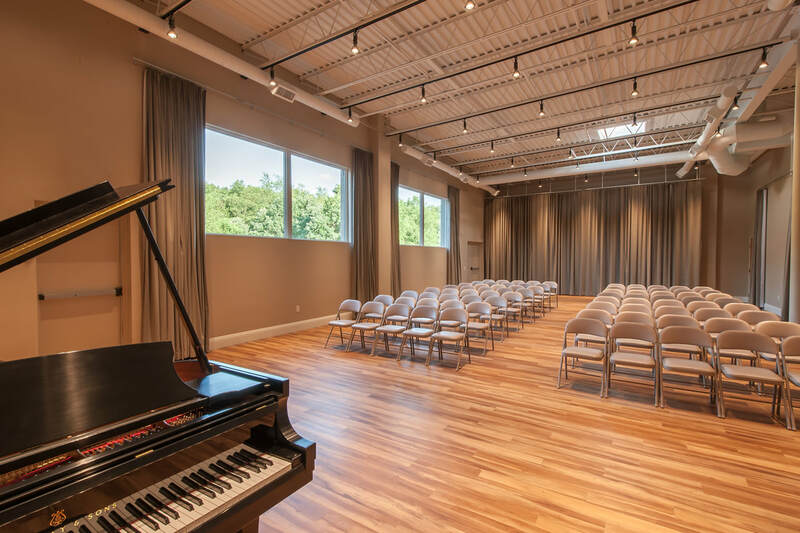 There are 100 parking spaces available on a level parking lot directly outside the School of Music, with direct access to the recital hall through double doors for easy load in. The Recital Hall rental fee is $50 per hour. The set up of chairs is included with the rental fee. The piano is tuned and maintained regularly. 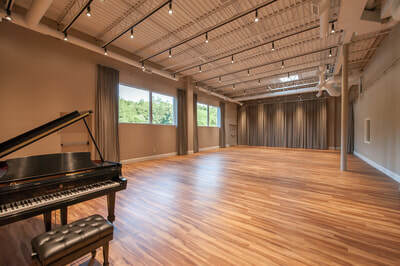 However, if you require an additional tuning before your recital, there will be a $75 piano tuning fee. If you are having a reception inside the recital hall, there is a $30 cleaning fee which can be waived if you commit to cleaning the reception area afterwards. 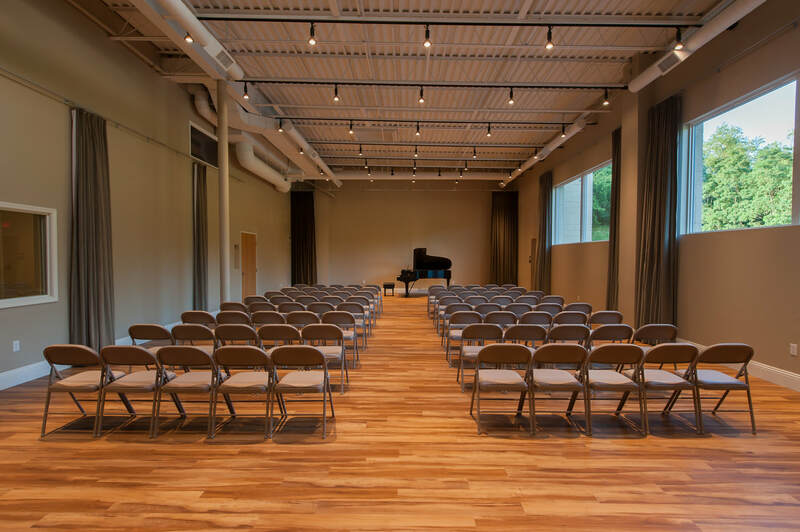 The following services are available for an additional cost: stage lighting, portable stages, tables, audio equipment, sound & video recording, and event staff. To book the Recital Hall, or for more information, send an email to info@pycosom.com. 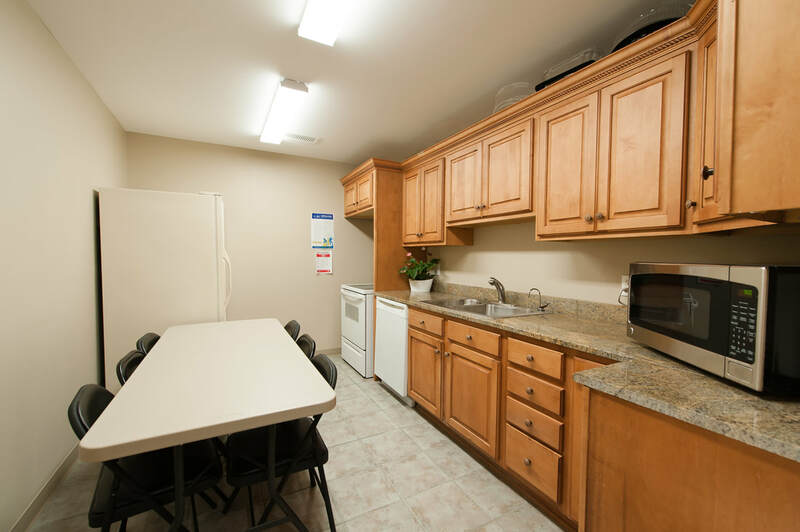 Inquire About our Low Rates during Off-Peak Times!